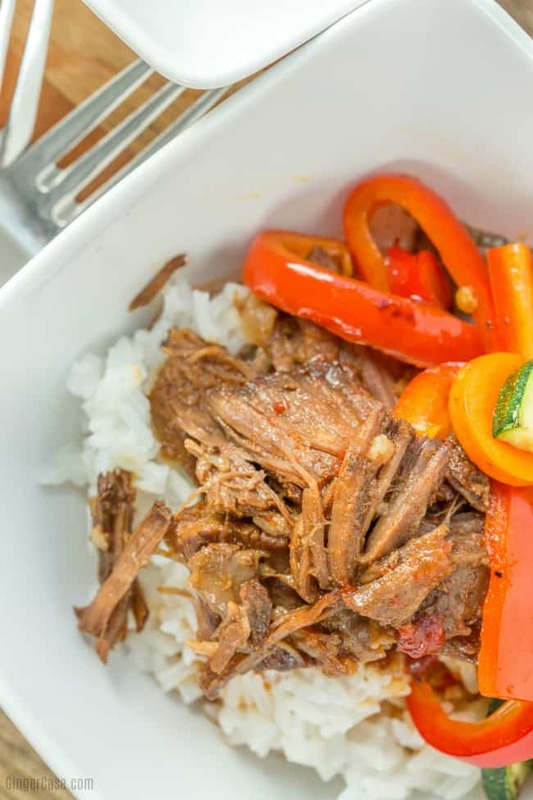 Instant Pot Korean Beef - Dinner In Less Than An Hour! 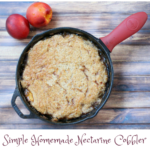 With a house full of hungry males, I am always looking for different meals that are easy to make and don’t take all day to cook. 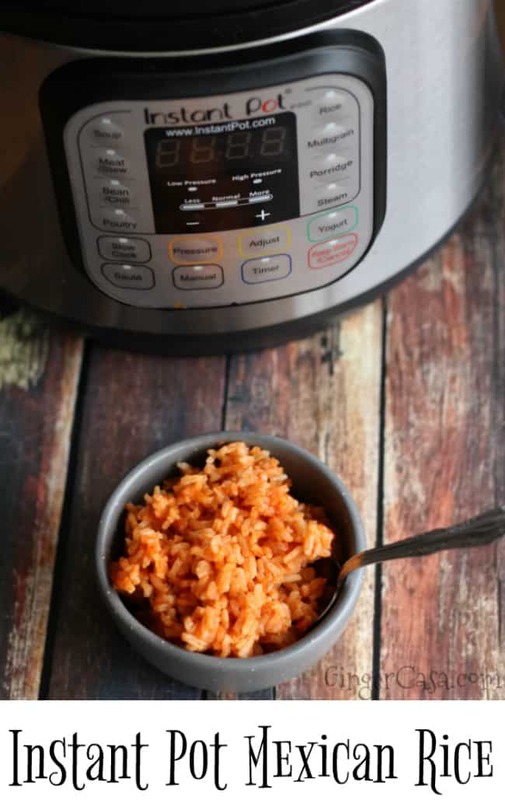 I was pretty intimidated by the thought of cooking beef in the Instant Pot, but it is so easy, quick, and the end result is so tender and delicious! 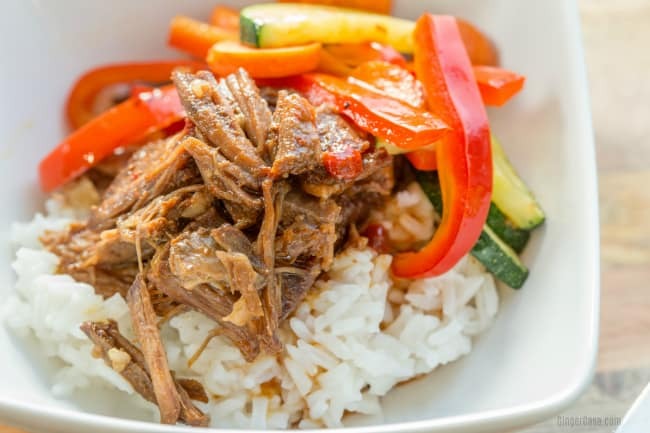 Add Instant Pot Korean Beef to your menu this week! 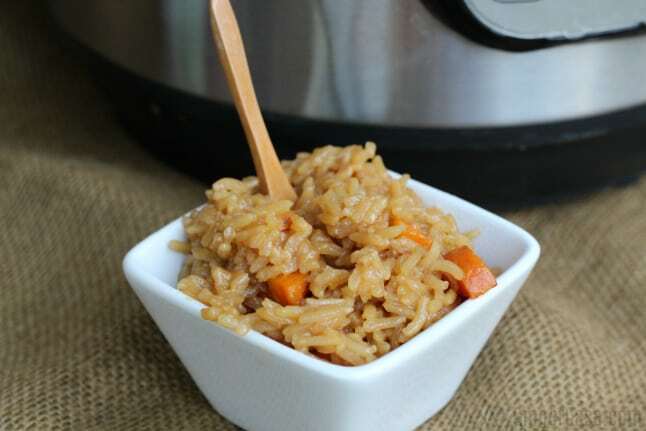 It takes less than an hour to cook, and you can prepare the rice and stir fried veggies while the beef cooks. Pat beef dry and salt all sides. 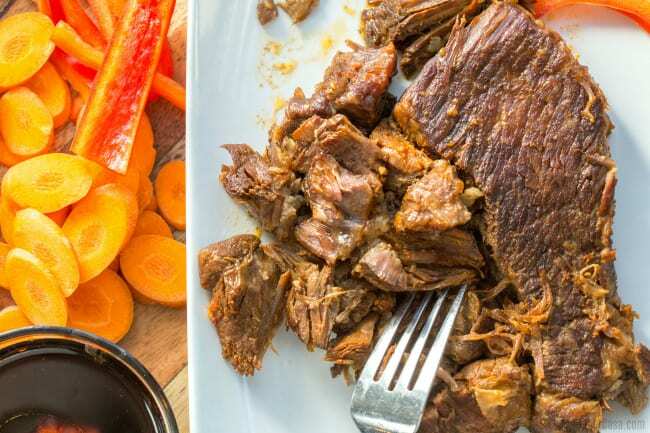 Add avocado oil to Instant Pot and cook beef on each side until browned, or about 1 minute on each side. 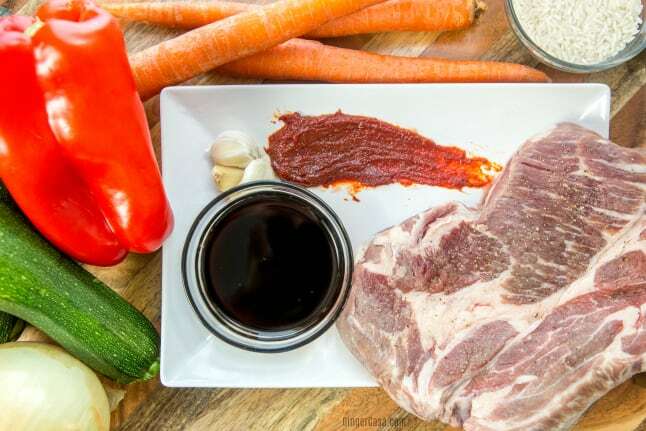 Remove meat and coat top with 1 TBSP Gochujang. Set aside. Add onion to pot and sauté, stirring occasionally, until onion starts to turn translucent, around 3 minutes. 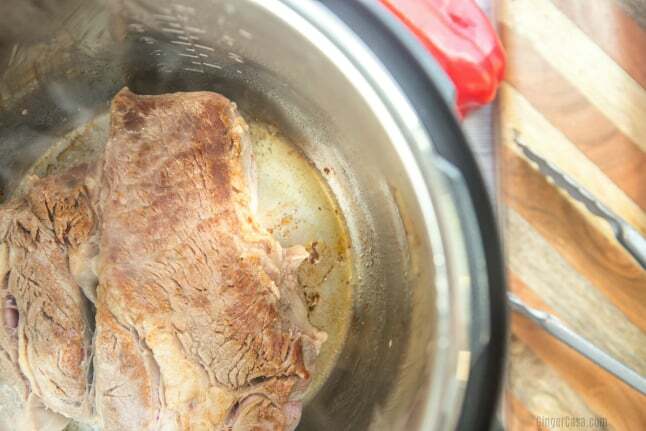 Add beef, lemon juice, and ½ cup soy sauce and cook for 40 minutes on manual setting, then manually release steam. 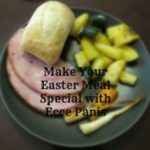 Serve with steamed rice or instant pot fried rice and stir-fried vegetables and top with Gochujang sauce. *Gochujang is available in some grocery stores and from sites like Amazon. 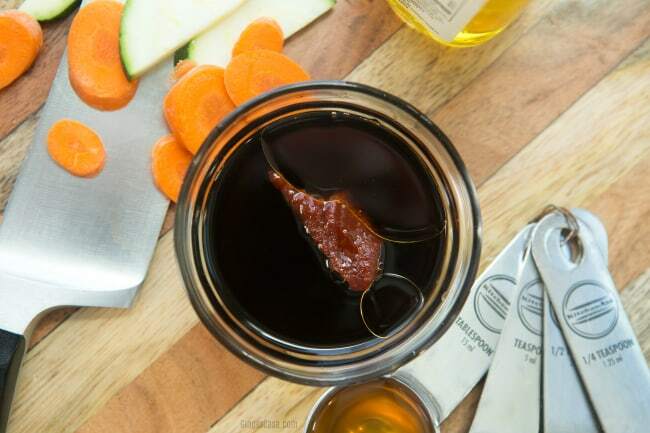 While you’ll lose some flavor, you can also substitute equal amounts of sriracha. 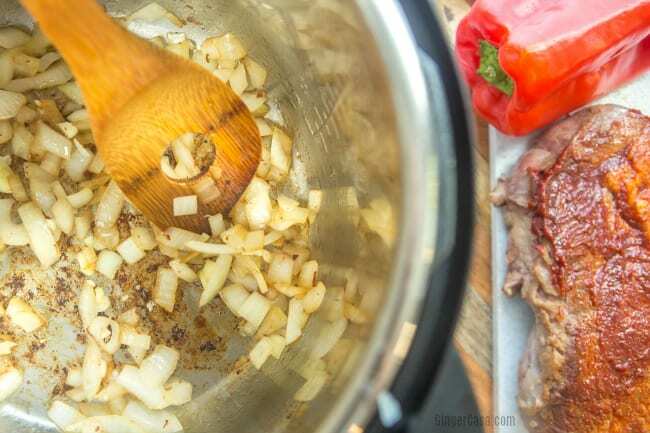 You will be AMAZED at how tender this beef is once you cook it in the Instant Pot! 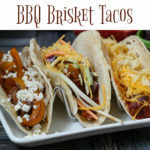 Try this delicious meal with your family and friends! 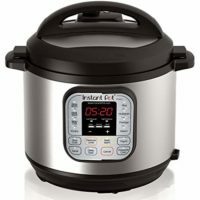 Need more easy Instant Pot recipes?